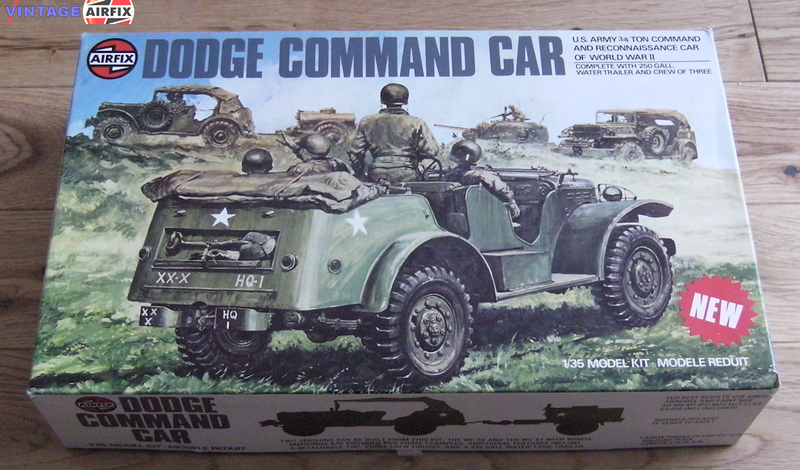 A classic American 'soft-skin' command vehicle of the Second World War, the Dodge 4 x 4 provided quick and efficient transport for staff officers in many of the famous campaigns of the period. More than 100 parts assemble into a highly detailed model plus a cargo trailer and crew. Decals for three vehicles are included.